Disconnect mass air flow sensor wiring harness plug (2) from mass air flow sensor (3). Unclip mass air flow sensor wiring harness retainer clip from air cleaner housing (1). Remove the air cleaner outlet duct clamp (3). Remove the air cleaner outlet duct (2) from air cleaner housing (1). 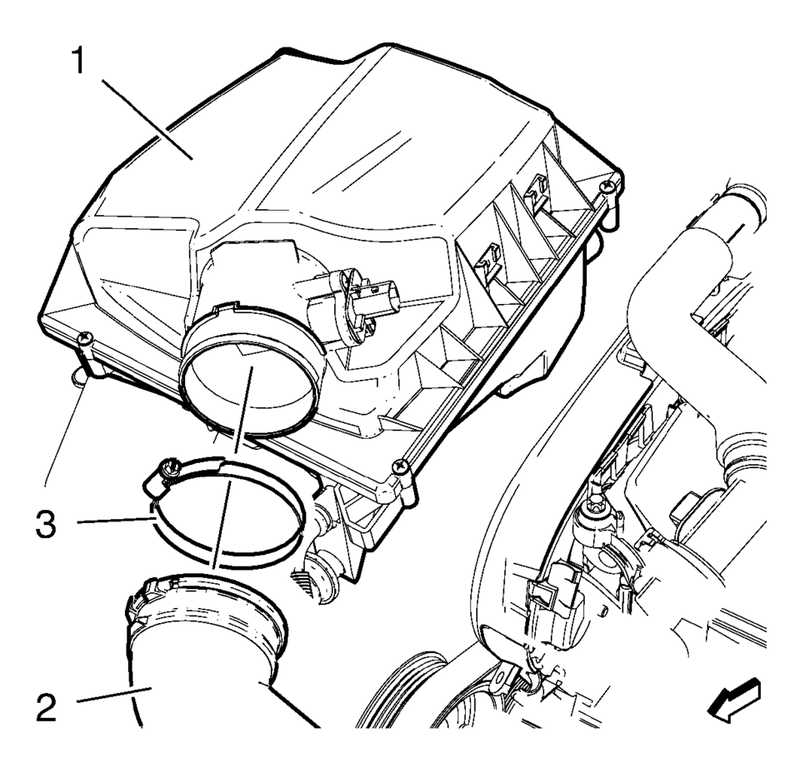 Remove the 5 air cleaner housing bolts (1). Remove the air cleaner upper housing (2) from the air cleaner lower housing (4). Remove the air cleaner element (3). Install the air cleaner element (3). 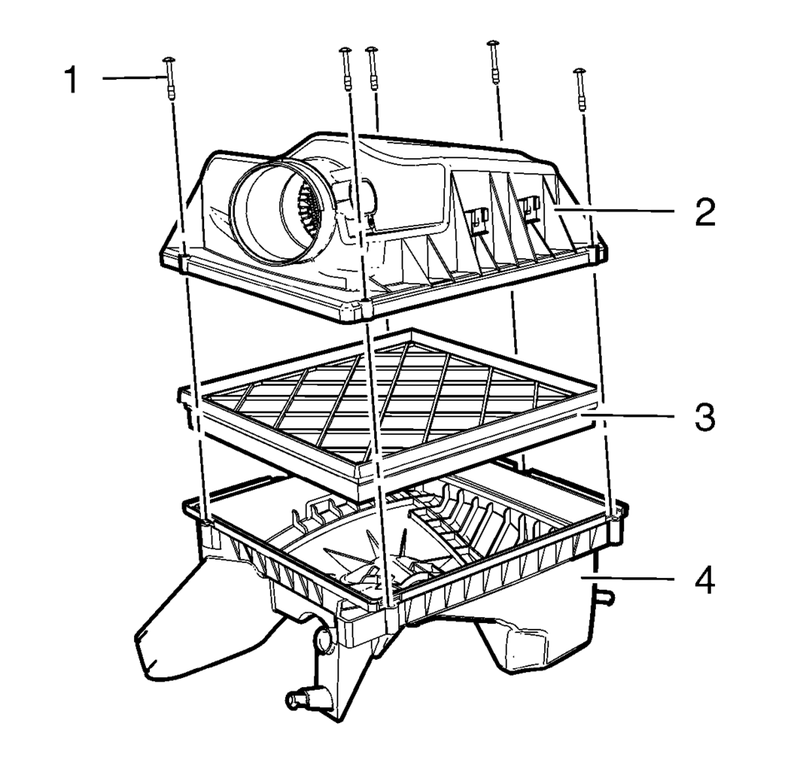 Install the air cleaner upper housing (2) to the air cleaner lower housing (4). Install the 5 air cleaner housing bolts (1). Install the air cleaner outlet duct (2) to the air cleaner housing (1). Install the air cleaner outlet duct clamp (3). Clip in mass air flow sensor wiring harness retainer clip to air cleaner housing (1). 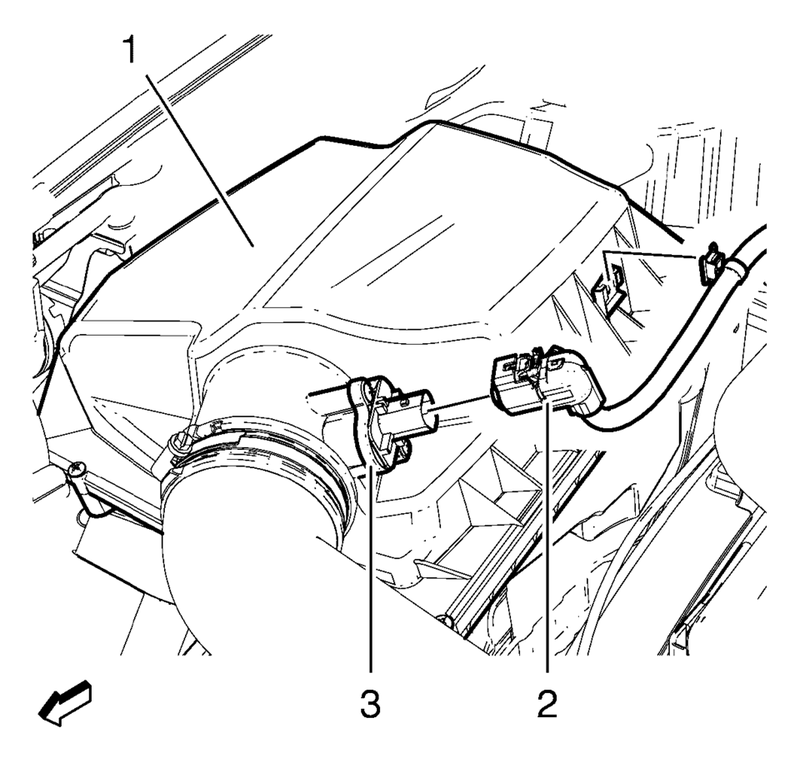 Connect the mass air flow sensor wiring harness plug 2) to the mass air flow sensor (3).